A. General structure and function. The hypothalamus is a division of the diencephalon that subserves three systems: the autonomic nervous system, endocrine system, and limbic system. The hypothalamus helps to maintain homeostasis. 1. The medial preoptic nucleus (Figure 19-1) regulates the release of gonadotropic hormones from the adenohypophysis. 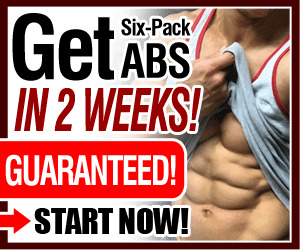 It contains the sexually dimorphic nucleus, the development of which depends on testosterone levels. 2. The suprachiasmatic nucleus receives direct input from the retina. It plays a role in the regulation of circadian rhythms. Figure 19-1. Major hypothalamic nuclei and their functions. ADH = antidiuretic hormone; CN = cranial nerve; DOPA = dopamine; NS = nervous system. 3. The anterior nucleus plays a role in temperature regulation. It stimulates the parasympathetic nervous system. Destruction results in hyperthermia. 4. The paraventricular nucleus (Figure 19-2) synthesizes antidiuretic hormone (ADH), oxytocin, and corticotropin-releasing hormone. It gives rise to the supraopticohypophyseal tract, which projects to the neurohypophysis, ft regulates water balance (conservation) and projects directly to the autonomic nuclei of the brain stem and all levels of the spinal cord. 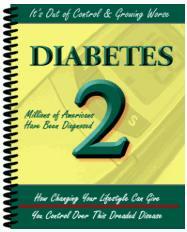 Destruction results in diabetes insipidus. 5. The supraoptic nucleus synthesizes ADH and oxytocin (similar to the paraventricular nucleus). 6. The dorsomedial nucleus. In animals, savage behavior results when this nucleus is stimulated. 7. The ventromedial nucleus is considered a satiety center. When stimulated, it inhibits the urge to eat. Bilateral destruction results in hyperphagia, obesity, and savage behavior. Figure 19-2. The hypophyseal portal system. The paraventricular and supraoptic nuclei produce antidiuretic hormone (ADH) and oxytocin and transport them through the supraopticohypophyseal tract to the capillary bed of the neurohypophysis. The arcuate nucleus of the infundibulum transports hypothalamic-stimulating hormones through the tuberohypophyseal tract to the sinusoids of the infundibular stem. These sinusoids then drain into the secondary capillary plexus in the adenohypophysis. 8. The arcuate (infundibular) nucleus contains neurons that produce factors that stimulate or inhibit the action of the hypothalamus. This nucleus gives rise to the tuberohypophyseal tract, which terminates in the hypophyseal portal system (see Figure 19-2) of the infundibulum (medium eminence). It contains neurons that produce dopamine (i.e., prolactin-inhibiting factor). 9. The mamillary nucleus receives input from the hippocampal formation through the postcommissural fornix. It projects to the anterior nucleus of the thalamus through the mamillothalamic tract (part of the Papez circuit). Patients with Wernicke's encephalopathy, which is a thiamine (vitamin B,) deficiency, have lesions in the mamillary nucleus. Lesions are also associated with alcoholism. 10. The posterior hypothalamic nucleus plays a role in thermal regulation (i.e., conservation and increased production of heat). Lesions result in poikilother-mia (i.e., inability to thermoregulate). 11. The lateral hypothalamic nucleus induces eating when stimulated. Lesions cause anorexia and starvation. 1. The fornix is the largest projection to the hypothalamus. It projects from the hippocampal formation to the mamillary nucleus, anterior nucleus of the thalamus, and septal area. The fornix then projects from the septal area to the hippocampal formation. 2. The medial forebrain bundle traverses the entire lateral hypothalamic area. It interconnects the orbitofrontal cortex, septal area, hypothalamus, and midbrain. 3. 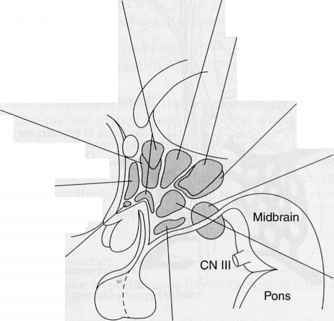 The mamillothalamic tract projects from the mamillary nuclei to the anterior nucleus of the thalamus (part of the Papez circuit). 4. The stria terminalis is the major pathway from the amygdala. It interconnects the septal area, hypothalamus, and amygdala. 5. The supraopticohypophysial tract conducts fibers from the supraoptic and paraventricular nuclei to the neurohypophysis, which is the release site for ADH and oxytocin. 6. 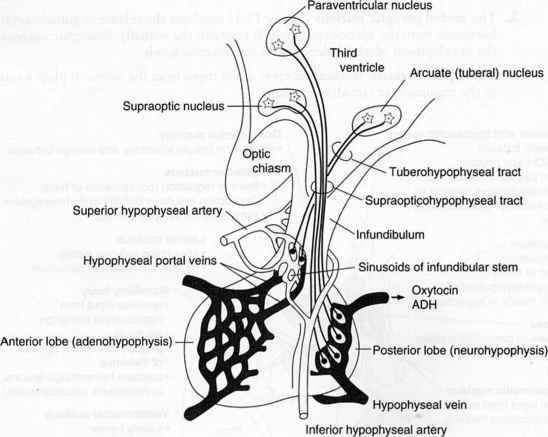 The tuberohypophysial (tuberoinfundibular) tract conducts fibers from the arcuate nucleus to the hypophyseal portal system (see Figure 19-2). 7. The hypothalamospinal tract contains direct descending auto nomic fibers. These fibers influence the preganglionic sympathetic neurons of th ? in termed iolateral cell column and preganglionic neurons of the sacral parasympathetic nucleus. Interruption above the first thoracic segment (T-l) causes Horn« r's syndrome. 1. The anterior hypothalamus has an excitatory effect on the parasympathetic nervous system. 2. The posterior hypothalamus has an excitatory effect cm the sympathetic nervous system. 1. The anterior hypothalamus regulates and maintains body temperature. Destruction causes hyperthermia. 2. The posterior hypothalamus helps to produce and conserve heat. Destruction causes the inability to thermoregulate. C. Water balance regulation. The paraventricular nucleus synthesizes ADH, which controls water excretion by the kidneys. D. Food intake regulation. Two hypothalamic nuclei play a role in the control of appetite. 1. When stimulated, the ventromedial nucleus inhibits the urge to eat. Bilateral destruction results in hyperphagia, obesity, and savage behavior. 2. When stimulated, the lateral hypothalamic nucleus induces the urge to eat. Destruction causes starvation and emaciation. 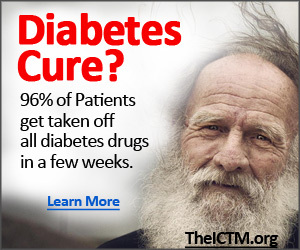 A. Diabetes insipidus, which is characterized by polyuria and polydipsia, is the best known hypothalamic syndrome. It results from lesions of the ADH pathways to the posterior lobe of the pituitary gland. B. The syndrome of inappropriate ADH secretion is usually caused by lung tumors or drug therapy (e.g., carbamazepine, chlorpromazine). C. Craniopharyngioma is a congenital tumor that originates from remnants of Rathke's pouch (see Chapter 4). This tumor is usually calcified. It is the most common supra-tentorial tumor in children and the most common cause of hypopituitarism in children. 1. Pressure on the chiasma results in bitemporal hemianopia. 2. Pressure on the hypothalamus causes hypothalamic syndrome (i.e., adiposity, diabetes insipidus, disturbance of temperature regulation, and somnolence). D. Pituitary adenomas account for 15% of clinical symptomatic intracranial tumors. They are rarely seen in children. When pituitary adenomas are endocrine-active, they cause endocrine abnormalities (e.g., amenorrhea and galactorrhea from a prolactin-secreting adenoma, the most common type). 2. Pressure on the hypothalamus may cause hypothalamus syndrome.